I frequently mention various liturgical things in passing and, as a correspondent has noted, it never hurts to stop and define these every once in a while. A classic case is the term “First Vesper.” So, with that in mind, here are some definitions, explanations, and applications concerning the “First Vesper” and how it both appears in and impacts liturgies in the ’79 BCP. The Western Church has tended to sort days into one of two categories: feasts days and regular days (aka ferial days or simply ferias [Yes, that’s not a correct Latin plural—deal with it.]). A feria is reckoned the same way a secular day is; it starts and ends at midnight. Speaking litgurically according to the old canonical hours, therefore, ferias begin with Matins at 3:30 AM or so and end with the conclusion of Compline at around 8:30 PM. Feast days work on a slightly different axis. Following Jewish tradition and therefore the practice of the first generations of Christians, feast days begin at sundown on the day prior to the feast and end at sundown on the day of the feast. However, sundown is easier said than scheduled. As a result, there’s a de facto “liturgical sundown.” On regular feasts—Simple feasts to use the technical term—the feast began at the Little Chapter during Vespers then would run through the end of the None Office the next day. Thus, a Simple feast is actually a little bit shorter than a full day; if back-to-back Simple feasts show up in the kalendar, it actually creates a little gap. Example: on February 13th in 1486, the Feast of St Valentine started at Vespers with the Little Chapter. February 14th continued the feast as it ran through Compline, Matins, Lauds, and the Little Hours up to None. At that point, the feast of St Valentine ended. Vespers began as the Vespers for Tuesday, following the psalms appointed for Tuesday. After the opening and the psalms, though, the feast of Sts. Faustinus and Jovita starts and continues through the rest of the 14th and the 15th as far as None. This looks confusing, but makes perfect sense if you recall one basic principle: the psalms for Lauds and the Little Hours were mostly static; to cover all of the psalms in a week (RB 18.22-25), 1-108 were covered at Matins and 109-147 were covered at Vespers (roughly). If proper psalms kept being appointed for feasts there’s no way they’d make it through the last third of the psalter! Not all feasts are equal, though; not all feasts are Simple. The more important feasts were referred to as Doubles, presumably because at some point in the Early Church a regular Office of the day was said, then an additional Office was said for the saint or feast. By the time we have extant manuscripts and descriptions of Offices, though, this was not the case. Instead, a Double were lengthened according to their importance. A Double began at the beginning of Vespers on the Day before, continued through Compline into the feast day proper and did not end after None but continued on through a second Vespers and a second Compline. Thus, a Double had two Vespers, one on the evening before the feast and one on the feast itself. (It had two Complines as well, but Vespers is a much larger, more involved, and more variable Office than Compline, so a second Compline has little practical effect on the liturgy’s celebration. This, then, is the origin of “First Vespers.” It designates the Vespers Office that begins a Double feast to differentiate it from Vespers on the next day. Furthermore, the liturgies of these days were often different, usually having different antiphons for the psalm and Gospel canticle and having different hymns. The thing I need to point out now, though, is the implications of having a First Vespers. Suddenly, figuring out which Vespers goes with which day and should be celebrated in which way becomes a lot more difficult. As a result, the classification of Double feasts began quite an involved matter and there grew a range—from Semidouble to Double to Greater Double to Double of the Second Class and Double of the First Class—in order to properly arrange the feasts so that everything received its due ceremony. Sets of tables clarify the relation between them so that you can calculate what happens if two feasts fall on top of one another (quite common when you suddenly merge 52 Semidouble or greater Sundays into the pre-existing 296 Doubles) or, as happened almost daily, when adjudication had to be made between whether or how you ought to celebrate two feasts at the same time within one Vespers Office. Example: Consider March 6th. The kalendar tells us that it is the feast of Perpetua and Felicity. This feast is a Double. So, Vespers on the 5th (and the 5th is a ferial day) is the First Vespers of the Perpetua and Felicity. The feast continues onto the 6th. However, March 7th is the feast of Thomas Aquinas—also a Double—which means that its First Vespers is abut to concur with the Second Vespers of the Perpetua and Felicity. What do you do? There are three options: division, commemoration, or suppression. In this case, since both feasts are Doubles the answer according to Tridentine rules is division: it’s the Second Vespers of Perpetua and Felicity from the opening and through the psalms until the Little Chapter. At that point (liturgical sundown), it becomes the First Vespers of Thomas Aquinas. Right after the collect of Thomas, though, is included a commemoration of Perpetua and Felicity which is created by bundling the Magnificat antiphon with the versicle which would have followed their hymn and concluding it with their collect. It’s precisely these sorts of issues that led reformers from at least the time of Wyclif to condemn what had happened to the Offices, charging that clergy had to spend far more time figuring out their breviaries than preaching the Gospel. We can see many things that Cranmer did to simplify the Offices (following in the footsteps of other reformers frequently) but this is one of the most invisible to modern Anglicans. In simplifying the kalendar he, with one stroke, removed one of the major objections to the Offices as they had been practiced at that time. By removing all antiphons and hymns, the liturgical elements to be calculated dropped dramatically; only the collects were proper to feasts. The Office became simple again—no calculations required (certainly in comparison to what it had been). However, the Office also lost the richness and depth that it had and the connections between Mass and Offices were reduced to a single point, the collect. Where we are now and what this means for our BCP will come in another post. This entry was posted in Church History, Daily Office, Liturgy on April 5, 2010 by Derek A. Olsen. Thanks for clarifying things a bit. I never did understand what was going on with Doubles and so on. Whoops–thanks for the edits; I thought I caught all of those. Fixed now. Liturgical time-keeping can be a very confusing topic. Trying to explain it always helps me make better sense of it. Of course, the *way* the ranking played out differed by diocese. In Sarum, even Doubles used “The Psalms of the Feria” at most vespers. Only (mostly) feasts of our Lord, our Lady, and the Apostles used proper Psalms (Usually taken from 1st or 2nd Vespers of Christmas, or from Sunday.) Also, figuring it out in England wasn’t so bad – There were fewer feasts, most following one another tended to be “Ruled Simples” so you always did vespers of the following; commemoration of the preceding then; but when in doubt, you just pulled out your “Rules called Pie.” One book containing all the permutations that can happen over the course of the lunar cycle. Find the 7th of the book applicable to the Golden Letter of the year, find the week in question, and it lists, Sunday through Saturday, which day each Vespers goes with and everything else needed! It may have been since Tolkien was a devout Roman Catholic. It is said he continued to resopond in Latin even though the Novus Ordo mass was in the vernacular. I think I’ll go have second dinner now. lol! James, that was in my mind. I recall C S Lewis comment about being warned about Papists and Philologists — and how his best friend turned out to be both! I suspect that Tolkein’s philological admiration of things Norse and Teutonic actually lay behind his Hobbits’ “second breakfast”. 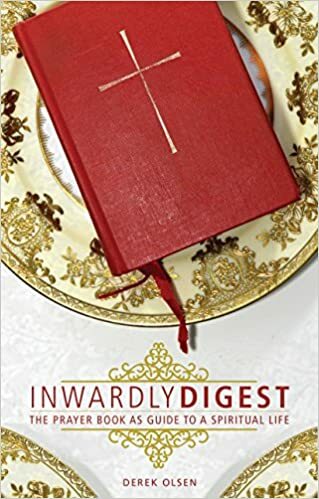 When you get to your next post, you might want to take into consideration that the invention of the printed Ordo, ubiquitous by the 19th century, largely obviated the complaints of the various reformers. Even the complexities of the Pius X breviary can be navigated with ease, especially as they tended to be printed with many textual repetitions to avoid page-turning.